Lost WhatsApp Contacts on Your iPhone? Get back all lost WhatsApp Contacts directly from your iPhone without backcup. If you are in need to undelete your iPhone WhatsApp contacts, select either of the 2 methods accordingly. 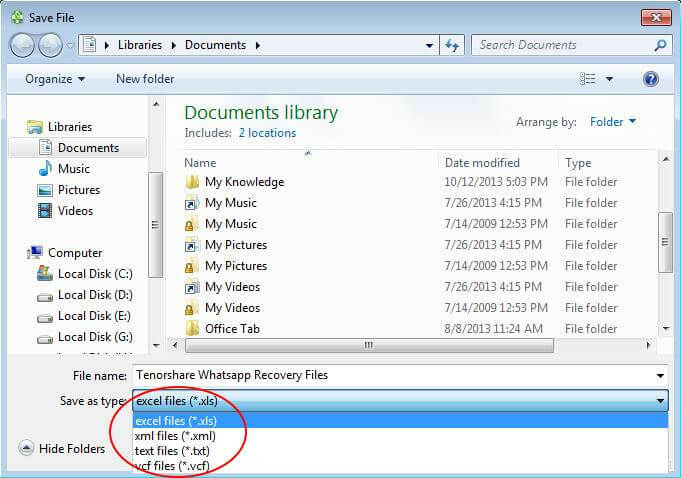 Since WhatsApp data loss can happen at any time, you should backup your iPhone WhatsApp to avoid losing important files. How to Recover Deleted, Lost WhatsApp Contacts on iPhone? "Can I recover deleted Whatsapp contacts on iPhone?" Surely you can. Download and install WhatsApp Recovery on any Windows computer (including Windows 8.1/8/7/XP/Vista). 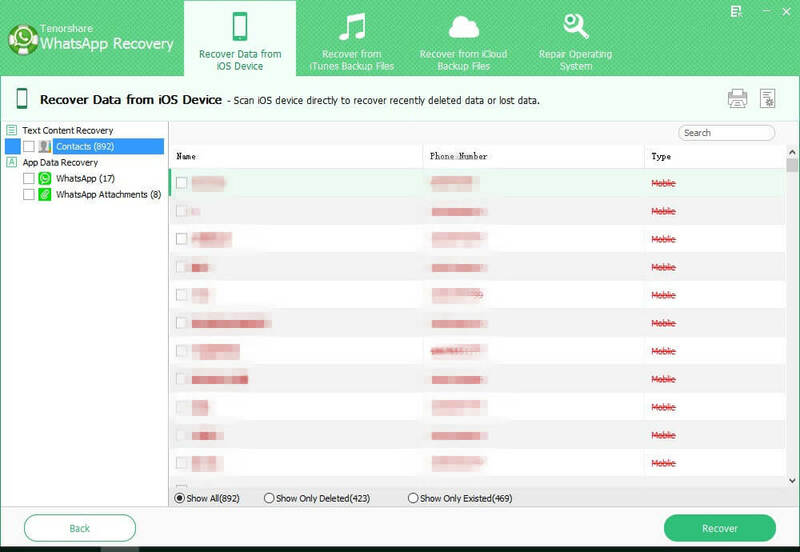 It will help to 100% recover deleted or lost Whatsapp contacts on iPhone 6/6 Plus/5S/5C/5/4S/4. The recovered contacts can be saved as vCard/VCF files, as well as in the formats of .xls, .txt, .xlm. 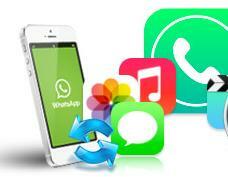 Here is the guides, covering how to restore WhatsApp contacts on iOS 8. No worries even though you have no iPhone backup files. WhatsApp Recovery allows you to find back all lost WhatsApp contacts directly from your iPhone without iTune or iCloud backup. 1. 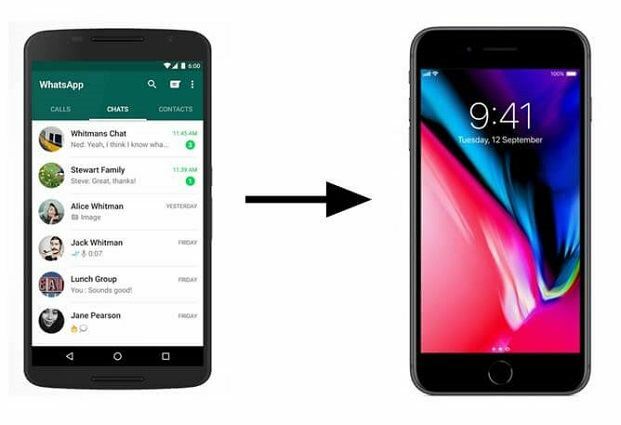 Connect your iPhone to your computer and run WhatsApp Recovery. After this software detect your iPhone, all WhatApp data will be displayed automatically. 2. Click "Contacts" to reveal the entire WhatsApp contact list. Then select the contacts you want to recover, click "Export" to perform the recovery process and choose a path to save the recovered WhatsApp contacts. 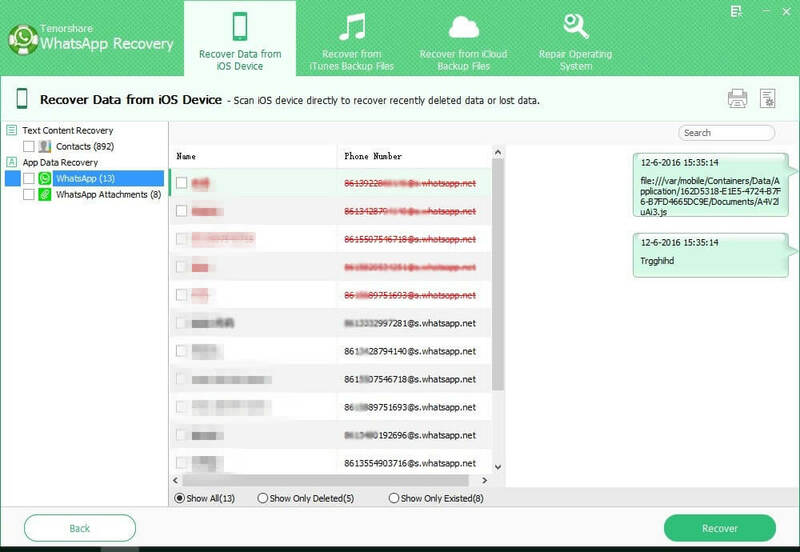 WhatsApp Recovery also helps you to recover deleted WhatsApp contacts of iPhone from the unreadable iTunes backup files. You can easily get back the contacts even if your iPhone is broken, lost or stolen. 1. 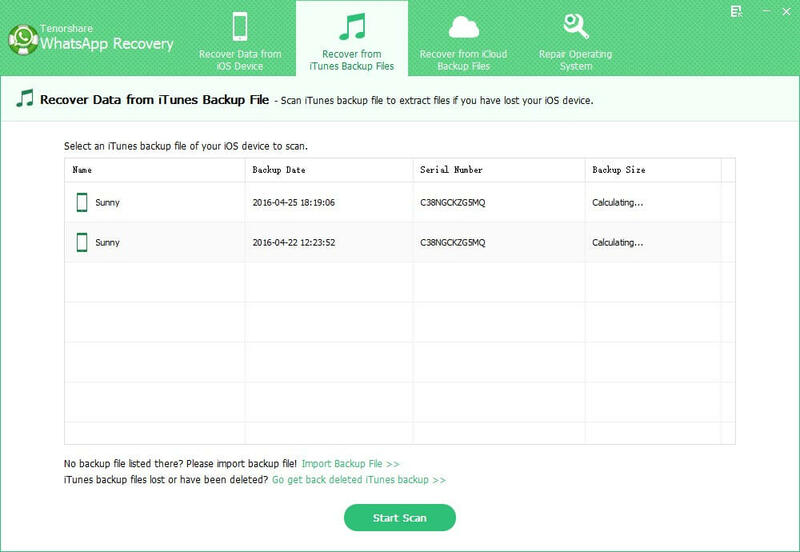 Run WhatsApp Recovery and it will automatically detect all iTunes backup files. Select your iPhone backup file in the Backup options section to allow the program to extract contacts. 2. Then select contacts to recover. There are easy-to-follow wizards to guide you how to perform WhatsApp contacts recovery. Whenever you meet the problem that "WhatsApp deleted my contacts on iPhone", try WhatsApp Recovery to help you retrieve them. How to Enable WhatsApp Access to Your iPhone Contacts? 1. Go to "Settings" on your iPhone and tap "Privacy". 2. Tap "Contacts", and make sure WhatsApp is set to "On". Leave it in your comment below if you have any problem about WhatsApp contacts recovery or about any other WhatsApp data recovery. If you have lost WhatsApp chat logs, go to How to Recover WhatsApp Messages from iPhone.